I got an email this morning from the organizers of the Long Island Festival of Races urging me to register for the events that will happen in early May. 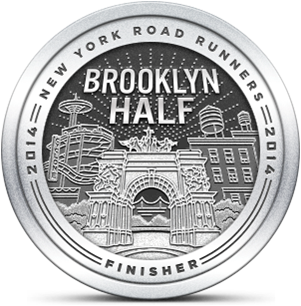 I've run the LI Half Marathon the last couple of years, so I'd consider doing it again. However, registration for that event closes in a week and I don't know if that's enough time for me to decide. I was thinking that the 10K may be fun to do as an alternative. I can always find another half to run later in the year. When I looked at the Long Island Festival of Races website to register for the 10K, I was both surprised and amused to see that the cost is $37.00, plus a $3.53 convenience fee. What the heck is a convenience fee? Together, it will cost me $40.53 to run a second tier race. I apologize to those who disagree with that viewpoint, but the LI Festival 10K is just not in the same league as some other Long Island 10Ks. For example, The Great Cow Harbor 10K, Long Island's best race, has a registration fee of only $25. And no "convenience fee". I rest my case. All of this was going through my mind this morning during my run around the neighborhood. The skies had cleared by the time I went out and the temperature had just nudged past 40°. I had plenty of energy, but I still felt a little stiff-legged. I wondered again whether I should have rested more after the race, or at least done some leg stretches. I enjoyed the workout, but never reached the point where my stride felt flexible. I'll give it a couple of days before I decide to spend the money for the Long Island 10K. I'll look for other 10K's around that time to see if there's a better choice. I only have a week left to register for this race. Considering the event doesn't happen until May, I don't find that very convenient. i was thinking about that 10k, too- didn't realize how much it was! maybe will also reconsider..
two others that come to mind are the aspire 10k in april, and my personal favorite, the shelter island 10k in june. both are challenging courses, but not as hard as cow harbor. shelter island is kind of an all-day thing, but worth it in my opinion (great race, scenery, post-race dinner, etc). Thanks Carla! you gave me two great alternatives. I need to check whether the Aspire 10K date conflicts with the Marcie Mazzola 5K though. I have a sentimental attachment to that race and cannot miss it. I've heard that the Shelter Island 10K is really great. Last year I'd considered it, but the date conflicted with some plans we had. I'll look at it for this summer. Much better than running The LI 10K's less than inspiring route. I agree with you! LI 10k/Half/Full are okay, but there are definitely better alternatives out there. I also heard great things about Shelter Island. As far as halves go and if you don't mind a road trip, there's one in the New Haven area Memorial Day weekend and then the Providence Rock and Roll Half in August. I might do New Haven because I have a good friend in the area, but it depends on my eldest's soccer schedule. I did Providence last year and highly recommend it. Such a pretty city. Shelter Island is looking interesting! I need to look into Providence as well. We did a mini vacation there a few years back and loved the city. I grew up near Boston so I'm always happy to visit New England.